Even with staying at a hotel that was a stone’s throw from Manchester Airport, nevertheless it was still a very early start to the day. There were a few issues along the way including baggage allowance and weather conditions over Gibraltar but eventually we arrived at the hotel. When things happen in life that aren’t of your doing, there’s nothing to worry about. It’s when your bad decisions have caused adverse circumstances that you need to be concerned. Anyway, things happen that you have no control over and rather than complain, let them become character building exercises. An unexpected touchdown in Malaga meant I can add another country to the list of nations that I’ve been to. From there it was across to home for the next two nights, the British Overseas Territory of Gibraltar. The highlight of today was the training session at Victoria Stadium. 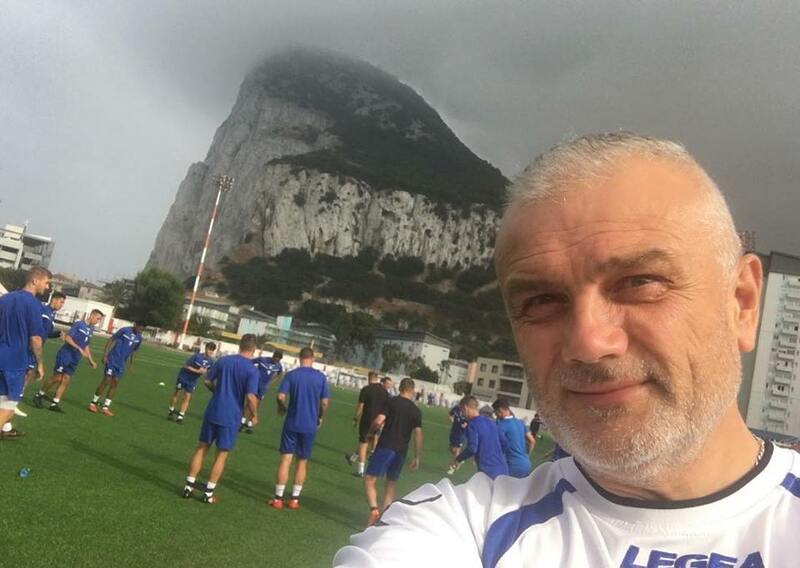 The rock is an impressive natural landmark and overshadows most of Gibraltar, never mind the venue that will be hosting our game tomorrow. I’m really looking forward to the match, which will be the 12th country that I’ve seen football in. If we do win then it will then be 13, as a trip to Denmark is on the cards in the next round. Let’s get this one sorted first though. As they say, one step at a time.